The 2019 offseason may be far from over, but the major waves of free agency have already come and gone. 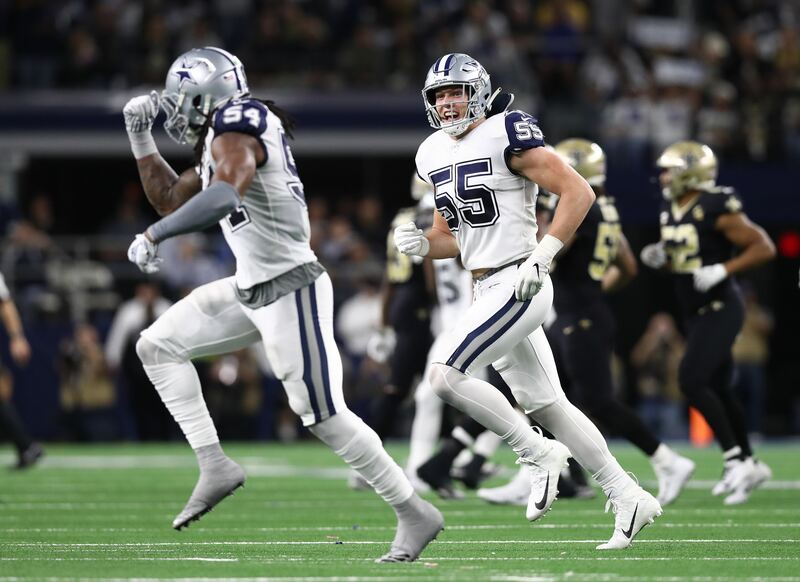 Players have come and gone, and guys who are still with the Dallas Cowboys from last season may have seen their status improve or worsen as a result. So, who are the biggest winners and losers so far? Granted, today's winners could become losers in a few weeks after the NFL Draft. 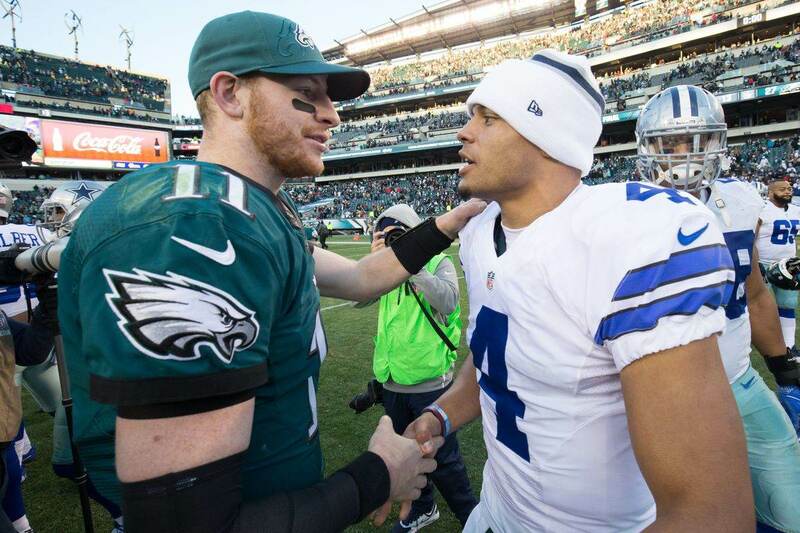 Someone who looks like a 2019 starter now might feel less secure if Dallas spends its second-round pick at his position. But for the most part, we have an idea of the pecking order at most of the Cowboys' positions. Because they lack a first-round pick this year, Dallas' draft selections are mostly going to be about depth and future potential. Immediate impact is going to be a lesser focus. So, as of today, who has been helped and hurt most by the Cowboys offseason moves? If the Cowboys had signed veteran Earl Thomas then it could have meant a backup role for Woods. Both play the free safety position, and Xavier is a little undersized for the strong safety role. 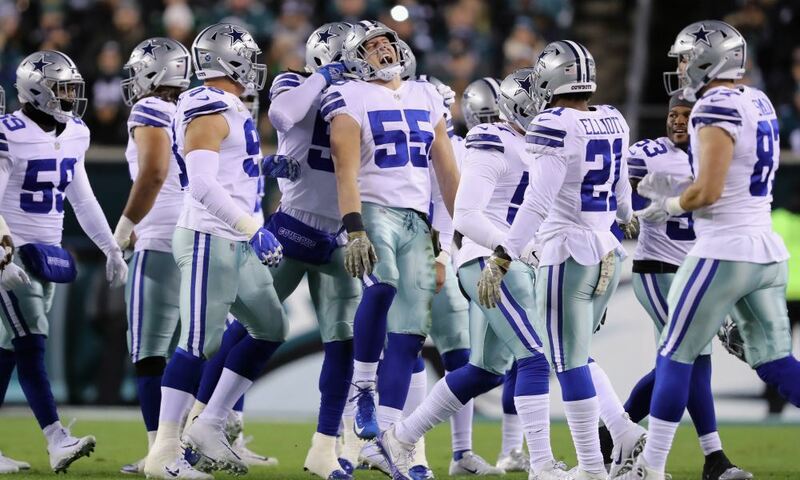 Jeff Heath may have kept his spot and put Woods on the bench. But instead of a flashy signing Dallas went with a bargain option in George Iloka. Not only does Iloka project more as a strong safety, but his minimal one-year contract means he isn't even guaranteed a starting role. That said, Iloka is still just 29 and has 79 career starts. He is not just here for simple depth. At worst, he will likely be part of a rotation with Woods and Heath. Dallas has plenty of reason to be committed to Xavier Woods. He still has two years left on his rookie deal and has flashed some game-changing ability already. Last year, Pro Football Focus had him graded almost identically to Giants' Pro Bowler Landon Collins. Likely, Woods' positive showing is one of the reasons that the Cowboys felt comfortable not overspending for a guy like Earl Thomas. We'll see if Dallas goes after a safety with one of their top draft picks. But for now, their offseason moves appear to be a vote of confidence in Xavier Woods. Jason Witten's surprising return may seem like a negative for Jarwin, who was starting for the Cowboys by the end of 2018. But Witten and the team are promising nothing more than a supporting role for the veteran, and that is a good thing for Blake's current prospects. 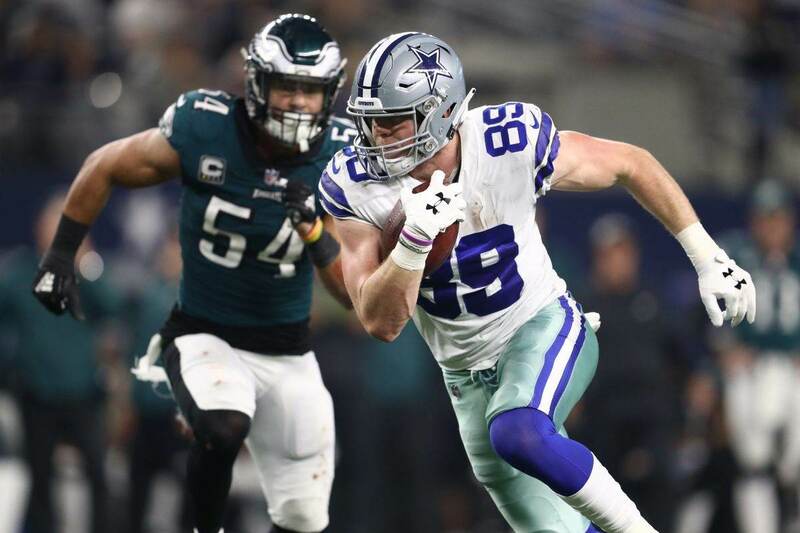 After all, the Cowboys could have made a play for a proven receiver like Jared Cook or taken a chance on former first-round pick Tyler Eifert. They also might've tried to re-sign Geoff Swaim, who was the starter last year before injury. But instead they have Witten coming back in what sounds like a bit of a player-coach role, and learning from the master could do wonders for Jarwin's game. As we've said already, the draft could change this discussion a lot. Tight end is still a spot where Dallas could go with one of their early picks, and that player would probably knock Jarwin and Dalton Schultz down the depth chart immediately. However, as currently constituted, the TE position appears to be operating with at least a committee approach. The door is open for Blake Jarwin to build on last year and earn even more opportunities if things stay this way. You'd like to think a first-round pick entering Year 3 would be moving into a starting role, if he didn't have one already. But Taco Charlton is starting to look more like an afterthought than a part of the team's future. Dallas' biggest move so far has been trading for veteran Robert Quinn, who should waltz into the starting role opposite DeMarcus Lawrence. Negotiations between Tank and the Cowboys are ongoing, albeit contentious, and the odds are still on Lawrence playing in Dallas next year. The Cowboys also signed Kerry Hyder from Detroit, who had a big year in 2016 but has been hampered by injury and a scheme change the last two seasons. This is in addition to hopes that Randy Gregory will be able to play and still having Dorance Armstrong under contract. If Dallas was ready to count on Taco then they wouldn't have needed to add both Quinn and Hyder, and perhaps neither. It shows their lack of confidence in Charlton, which is highly disappointing given his perceived potential two years ago. Some have even wondered if the Cowboys might try to trade Taco during the draft for a mid-round pick. He still has two years left on his rookie deal and the fifth-year option in 2021, which could entice a new team who liked him in 2017. Whatever happens, suffice to say that Taco Charlton isn't nearly the factor he should be at this point for the Dallas Cowboys. Their offseason moves only emphasize his low status with the team right now. We already mentioned the way safety moves have helped Xavier Woods, and the negative corollary is the impact on Heath. For as much as Xavier's position has been strengthened, Heath's has become shakier. Not only does the George Iloka signing threaten Heath's starting job, but it could even put him in harm's way for a salary dump. Dallas can save $2.5 million off the cap by releasing Jeff from his contract. Even if he winds up on the bench, Heath still has enough value to justify his $2.9 million cap hit. He's a versatile, experienced backup and a special teams leader. But moving to a reserve role would be tough for Jeff with just one year left on his deal. He will be turning 29 during the 2020 offseason and would enter free agency after taking a backward step in his career. However, as we've said, Iloka isn't guaranteed to start. A three-way competition is likely coming between Heath, Iloka, and Woods for the two starting roles, or at least between Heath and Iloka for strong safety. Jeff should get to fight for his spot. That said, Heath's job security has definitely taken a hit this offseason.